Between the planets Mars and Jupiter is the asteroid belt, a collection of hundreds of thousands of rocks, ranging in size from several hundred miles across to mere dust fragments, coming in all sorts of weird and wonderful shapes and sizes, from near perfect spheroids (in the case of some of the larger ones) through to those with highly irregular and jagged shapes. Throughout human history our planet has encountered many of these rocky bodies, some with iron cores, some almost entirely metallic in nature. These floating wanderers of the solar system are sometimes disturbed from their orbits by collisions between each other, and other factors, like gravitational perturbation caused by those two aforementioned planets. It is a hot topic of debate in the scientific and political communities as to the level of threat that these objects are to our planet. Every year, we are struck by hundreds of tons of debris from space, usually small rocks which land as meteorites or even smaller particles of dust which give us meteor showers. On top of this, we have many more close (in astronomical terms!) shaves, sometimes coming inside the orbital distance of the geostationary satellites which circle our globe. We only have to recall the 2013 even in Chelyabinsk, Russia, when a 50ft wide asteroid crashed in to the atmosphere and blew in windows and doors over a vast city populated by over 1 million people, to realise the vulnerability of our pale blue dot. It is with this in mind that the space agencies of the world are spearheading efforts to understand more about these objects, and get a closer look at what we are dealing with. NASA and the work at the Goddard Space Flight Center, are leading the charge with a mission that aims to do something as complex as any mission ever attempted. OSIRIS-REx is the name of the NASA mission, which will launch in October 2016 on a two year trip to Asteroid 101955, also known as Bennu. On arrival, the spacecraft will spend a year in orbit, creating a very detailed shape and gravitational model of the asteroid through radar imaging and other remote sensing techniques, allowing scientists to use this data this to correct for any surprises that ground and space telescope based detailed observations did not pick up. It will also study the Yarkovsky effect, which is where the momentum of photons of light have a subtle yet measurable impact on the trajectory and rotation of an asteroid. 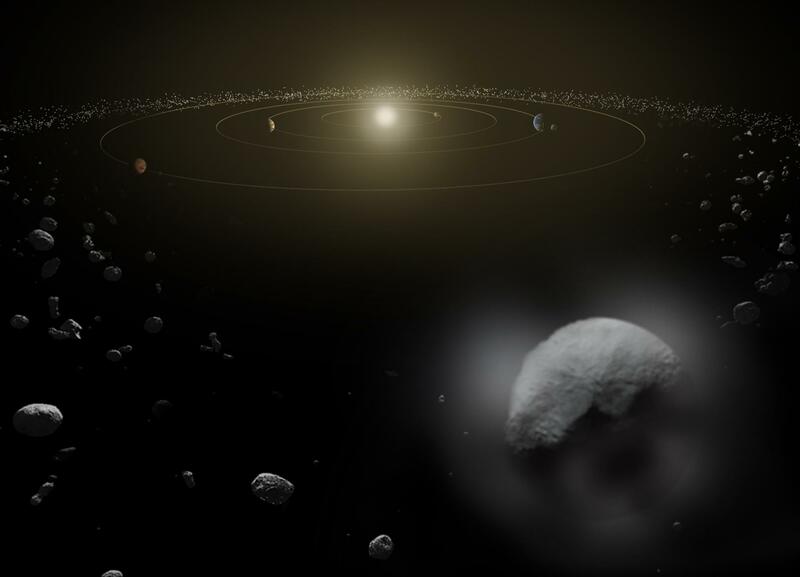 There is a probability of Bennu colliding with Earth in 2182 due to the Yarkovsky effect and scientists want to work out as much as they can now, to mitigate against this becoming a reality. After travelling to Bennu, the spacecraft will enter its orbital phase, the initial stage of studying the asteroid up close. Once this year long step is complete, the next is where the key goal of the mission takes place. The aim is to achieve a controlled touchdown on the surface, collect a sample and store it ready for the return to Earth. As there are many things that could go wrong with this part of the process, the spacecraft is equipped with three collection tubes so if the first attempt is unsuccessful they have another shot. 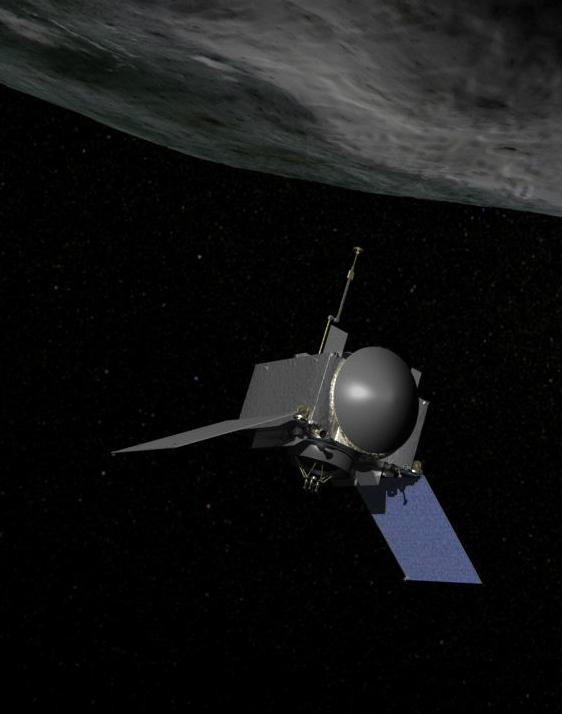 So how do you collect samples from an asteroid? These are objects moving at huge velocities relative to the spacecraft, even after orbital insertion, with so little gravity, that it’s no easy ride. Therefore a controlled landing is critical. The extremely weak gravity of a body this size makes this part all the more complex. But, after what the team hopes is a successful touchdown, a robotic arm will extend out from the lander, allowing a sampling head to be lowered to the surface, and retain contact with it for just five seconds. During this time, Nitrogen gas is blasted on to the surface to loosen the surface regolith, permitting it to be collected by the sample head. With the opportunity for three attempts at collection, the spacecraft will, it is hoped, return with at least 60g and up to 2kg (around 4lbs) of material. As with the Apollo program, where Gene Cernan and Tom Stafford on Apollo 10, performed a dress rehearsal of the main event where they followed each procedure, bar landing, Osiris-Rex will do the same. Swooping down to within 25 metres of the surface before pulling up and doing everything except the sample collection. Once the sample is collected, the spacecraft will begin its return journey to Earth, and after around 2 years, if all goes according to plan, enter the atmosphere at a staggering 27,738 miles an hour, way faster than orbital entry interface for manned mission returns from the ISS and other low earth orbiting systems. The capsule has a heat shield, which will ablate away with temperatures around the 3000 degree centigrade mark, making the re-entry reminiscent again of the era of Apollo. The heat shield will take away 99% of the initial kinetic energy, until the spacecraft slows down enough at altitude for the parachutes to deploy, drifting slowly to the ground being tracked by NASA airborne groups before the ground based recovery teams to get the capsule, somewhere, hopefully in the deserts of Utah, after a gentle and soft landing. Then the science can really begin, with the most pristine example of an asteroid ever seen on Earth, uncontaminated, unlike the meteorites which bombard us, and hopefully the start of a detailed investigation in to how these mysterious bodies, remnants of the earliest formation of our solar system, really tick…and how we can avoid them. Thank you to the OSIRIS-REx team for making time to meet with me and answer my questions about this mission, and to several astronomers who helped with this article.